We're back and this time promises to be more fun than ever! 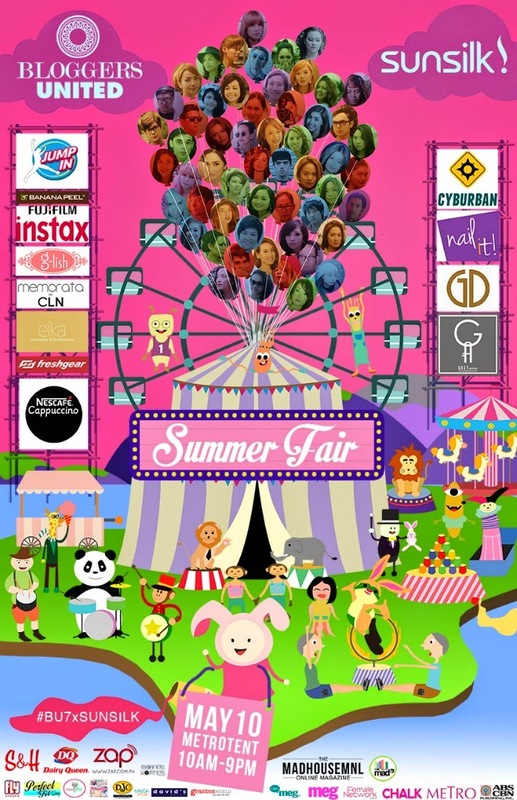 Aside from shopping your favorite blogger's booths for super cheap fashion finds, both old and new, there will also be lots of FOOD TRUCKS, GAME BOOTHS, A POP-UP SALON, FUN CHALLENGES and a whole lot of other surprises for you and your #SunsilkHairkada! GET IN FOR FREE when you bring a 180ml bottle of Pink Sunsilk with you. No bottle? Get your tickets at the gate for only P100! And now a chance to win FREE TICKETS! I want to attend this event! It would be such fun! Sayang naman. I really hope there will be events like this here in Cebu.